A red devil with a Japanese twist. 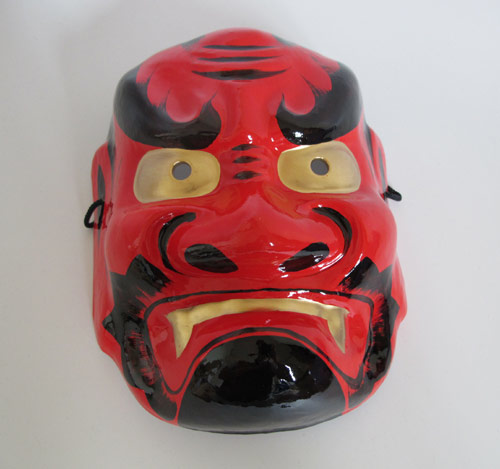 In Japanese "aka oni" means Red Demon, and these fearsome oni feature in many popular folk tales. This frightening demon mask is perfect for Halloween or to ward off evil spirits.